The drug is the dried root or fresh leaf of Tarenna mollissima (Hook. f. et Arn.) Robins. 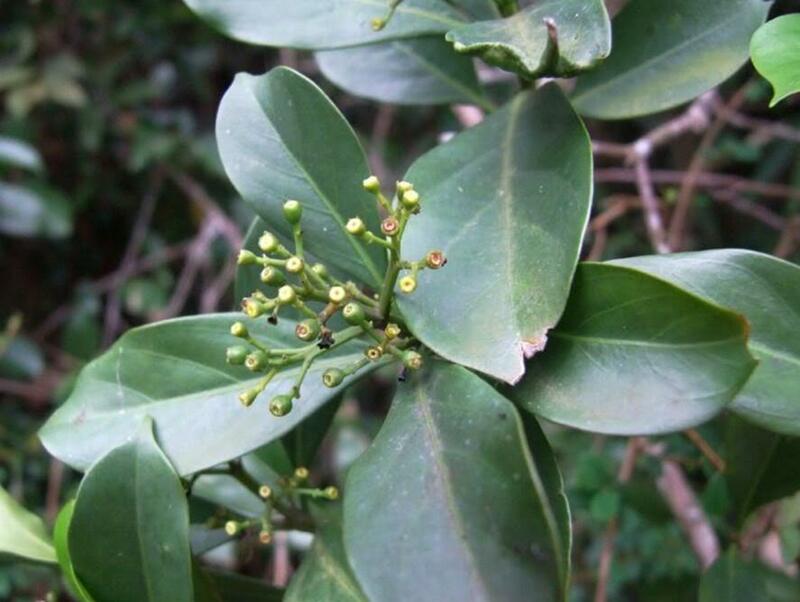 (Family Rubiaceae), growing on mountain slopes, along streams and ravines, in sparse woods on mountainous areas, or in scrubs, and distributed in Zhejiang, Jiangxi, Fujian, Hubei, Hunan, Guangdong, Hainan, Guangxi, Guizhou, Sichuan and Yunnan of China. Pungent, sour, slightly bitter, slightly warm. Expel wind and resolve swelling, dissipate stasis and alleviate pain. Traumatic injury, rheumatic arthritis, stomatitis, phlegmon, sores and boils, ischialgia. Decoct 15~30 g, or soaked in wine, or decocted for mouth washing. Proper dosage is for external application, soaked in wine for applying on the affected area.